The Play & Go outdoor is the unique waterproof solution to take all your stuff for a day at the beach, to go to the park or for a great picnic. Open the storage bag to sit on or play on it. If the soil is wet, you will definitely stay dry. Time to go? Just pull the rope and everything is stored neatly in it. The adjustable shoulder strap makes it easier to carry. 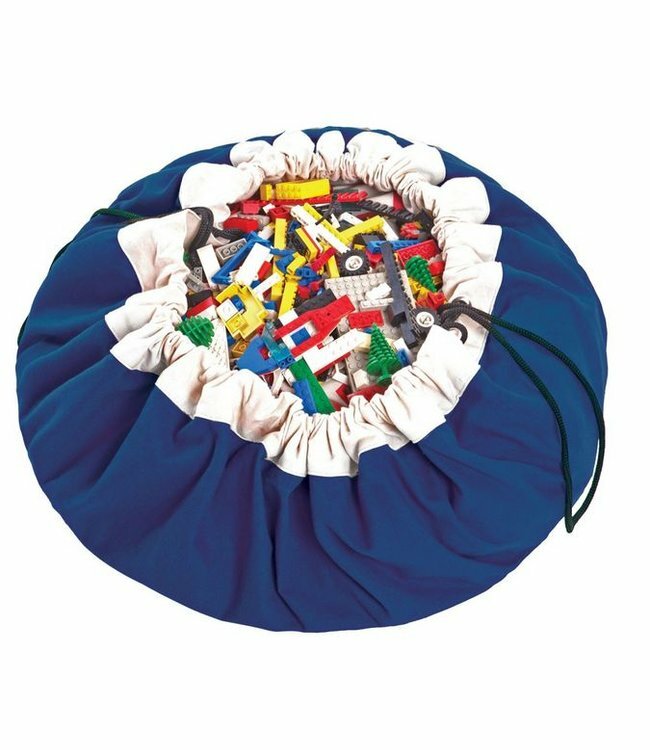 The Play & Go toy storage bag has a diameter of 140 cm and is made of high-quality soft PU laminated polycotton. Important product information: the Play & Go bag is not a toy. Always use the Play & Go storage bag in the vicinity of adults. Play & Go play bags are made of premium 100% full cotton and made under high standard environmental standards. Oh, and they are wonderful to use and to have! Play & Go play bags are warranted to be free from defects in material for three years from the original date of purchase and under normal conditions. 4 tips to extend the life of your Play & Go bag! Play & Go bags are made of 100% cotton. When you wash your Play & Go for the first time, this color can be delivered. Therefore, it was the first few times separately. In addition, it keeps its color better if you use a detergent without bleach. Do not set the temperature of the washing machine higher than 30 ° C during washes. Cotton fabric is sensitive to discoloration by the sun. Let your Play & Go dry in a shady spot. ♥ Play & Go storage bag play mat in cobalt blue ♥ Fast d..